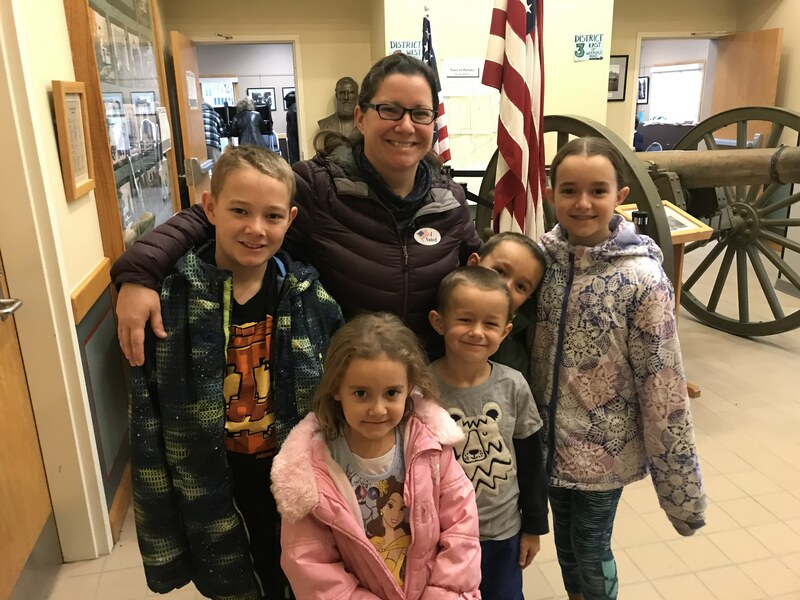 Mary Kathleen Burke brought her five children ranging from five to 12 years old to teach them the importance of voting. Video produced by (c) 2018 Luke McGrath. Luke McGrath: Outside of the rainy Pompey Town Hall here in Manlius the voters have been coming in at a pretty good rate throughout the morning and that’s including Mary Burke, a mother of five who was sure to bring her children along to show them the importance of voting. Mary Kathleen Burke: Well it’s our duty and it’s our responsibility as citizens to vote and have our voices be heard so that when these decisions are made in government that we have the people that we want and that we feel are responsible to make these choices. Right? Luke: Over the years the Burke kids appear to have learned a lot. Ranging from five to twelve… Mackenzie, Declan, Aiden, Connor and McKayla showed quite a bit of interest at the polls and for McKayla, the oldest of the bunch, the importance of voting is starting to hit home. McKayla Burke: I think it’s important because then we like… we know um…like she said like people’s voices can be heard and um, they um… we can like pick the right people to do the jobs. Luke:Mary herself was always at the polls as a kid and says it played a big role in realizing how important it is to complete her civic duty. Mary: I remember selling chocolate bars for… I think it was youth soccer outside the polling places while my parents went in to vote. I was one of nine kids so they didn’t take all nine of us in because that would have been crazy, but I remember the just the sense of community and seeing everybody from the town there and knowing that everybody was kind of doing their part. Luke: And for those at the polls who saw the small army that is the Burke family they were quite impressed by the lesson their mother was teaching them. Linda Meyers: I was so pleased to see that Mom and her children, what an opportunity for them to not only do a visual and see how the voting is set up and see how we actually provide our own personal chance to decide on who we want running our governments in different ways. Luke: And for all those involved today at the Pompey Town Hall… one thing was clear between the young, slightly less young and young again. Luke: Reporting in Manlius, Luke McGrath… NCC News. By Luke McGrath Manlius, N. Y. 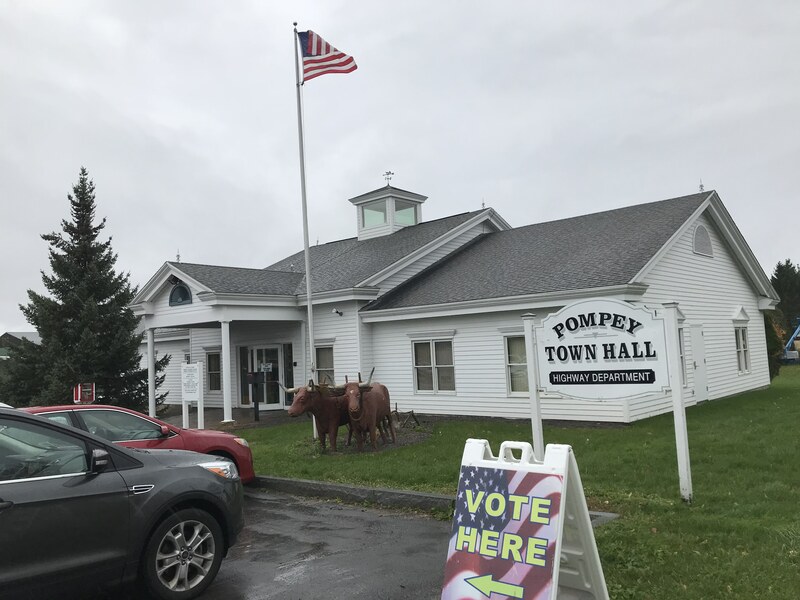 (NCC News) — Tuesday morning at the Pompey Town Hall brought in a wave of voters from the Manlius hamlets third and sixth districts. Part of that wave of voters included Mary Kathleen Burke and her five children. Burke’s goal was to show her kids that if you want to see change you have to go out and vote. Both Burke and the rest of the staff at the polling site made sure Burke’s children absorbed the process allowing them to fill in the ballot with their Mom and making sure each child got a sticker afterwards. Linda Meyers, who was selling baked goods to raise money for the Town of Pompey Historical Society said that if you want to make a difference you have to vote. “If people don’t get out and vote then you live with what there is and I think it’s our responsibility to push to get every age, 18 right up through to 118, vote. You have a chance to hear your voice and let it be said,” Meyers said. Although Meyers cited a 100 year age range, she later focused on college students as the group that needs to pick it up in the polls. “I think that is something that we need to work harder on and we need to encourage college students, who often times don’t really think that they can go somewhere to vote when in fact they really can and the opportunity is there for them to have absentee voting,” Meyers said.